For the first time in school history, The Chaminade Talon has won international competition awards. 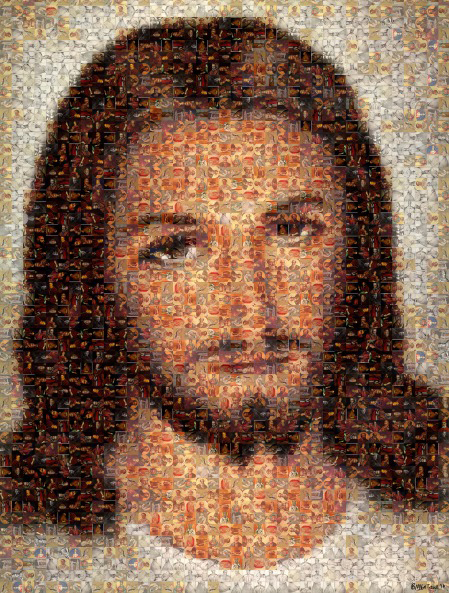 Talon featured artist, Bailey van Tassell ’16 won 1st Place for Illustration in the Youth Journalism International’s 2015 Excellence in Journalism contest with his piece, Jesus Mosaic. The Talon also took 2nd in Graphic Design, while Editor-in-Chief, Shreya Yepuri ’15 earned Honorable Mention for her article, Boys Sports vs. Girls Sports. Student journalists, photographers and content designers from 23 U.S. states, Brazil, China, Ethiopia, Egypt, Italy, Pakistan, Palestine, Syria and the United Kingdom, competed for awards. The annual contest is in its sixth year, and recognizes writing, reporting, art, photo and multimedia skills in more than two dozen news, sports and opinion column categories. Eligible works were published in English by non-professionals, age 19 and under, between January 1, 2014 and December 31, 2014. This entry was posted in High School, The Talon by Chaminade News. Bookmark the permalink.